In an SEC filing, Atari reported that its delisting from the Nasdaq is official. Trading of the company's shares was suspended this morning at market open. The company said it will appeal the decision, bringing it before Nasdaq's Listing and Hearing Review Council. At the same time, Atari is going ahead with previously-announced plans to merge with Infogrames, its majority shareholder, who is also loaning the company $20 million in required capital. The company received a notice in December 2007 that it had to maintain a market value of $15 million or more for at least 10 business days, which it was unable to do. On March 24th, 2008, the Nasdaq notified Atari that it would be delisted unless it requested a hearing - it did, and that hearing, held on May 1st, failed to swing things Atari's way, and the Nasdaq ruled to proceed with the delisting process. Full announcement follows the jump. Atari, Inc. (Nasdaq: ATAR), an interactive entertainment company, announced today that on May 7, 2008 it received a letter from The Nasdaq Stock Market stating that a Nasdaq Listing Qualifications Panel has determined to delist Atari, Inc.'s securities from the Nasdaq Global Market and will suspend trading of Atari, Inc.'s shares effective on the opening of business on May 9, 2008. Atari, Inc. plans to request a review from the Nasdaq Listing and Hearing Review Council, which could alter or dismiss the Panel's determination. However, such a request will not delay the suspension of trading. Atari, Inc. now expects to be quoted on the Pink Sheets, an electronic quotation service maintained by Pink Sheets LLC. The Pink Sheets allow continued trading of securities of delisted companies. Atari, Inc. expects its common stock to be traded on the Pink Sheets under the symbol "ATAR" or "ATAR.PK". Atari, Inc.'s common stock may also be quoted on the OTC Bulletin Board(R), a regulated quotation service for over-the-counter securities, provided one or more market makers apply to quote Atari, Inc.'s securities. As previously announced, on December 21, 2007, the Nasdaq Listing Qualifications Department notified Atari, Inc. that, pursuant to Nasdaq Marketplace Rule 4450(e)(1), unless the market value of Atari, Inc.'s publicly held shares (which is calculated by reference to Atari, Inc.'s total shares outstanding, less any shares held by officers, directors or beneficial owners of 10% or more) maintained an aggregate market value of $15.0 million or more for a minimum of 10 consecutive business days prior to March 20, 2008, Atari, Inc.'s securities would be subject to delisting. The value of Atari, Inc.'s publicly held shares did not reach that level within the required period, and on March 24, 2008, the Nasdaq Listing Qualifications Department notified Atari, Inc. that the Nasdaq Staff had determined that Atari, Inc.'s securities were subject to delisting unless Atari, Inc. requested a hearing before a Nasdaq Listing Qualifications Panel. Atari, Inc. requested a hearing on March 27, 2008, which stayed the delisting process until the hearing was held and the hearings panel delivered a decision. The hearing was held on May 1, 2008. The Nasdaq hearings panel thereafter ruled to proceed with the delisting process and, effective May 9, 2008, Atari, Inc.'s common stock will no longer trade on The Nasdaq Global Market. Atari, Inc. plans to request that the Nasdaq Listing and Hearing Review Council review the Nasdaq hearings panel decision. Atari, Inc. announced on April 30, 2008 that it intends to merge with its majority shareholder Infogrames Entertainment S.A. ("Infogrames") which holds approximately 51.4% of Atari, Inc.'s common shares. 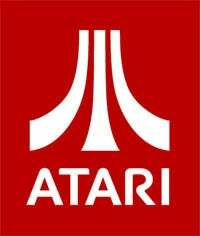 Atari, Inc. believes that its delisting from The Nasdaq Stock Market will not affect the pending merger transaction.